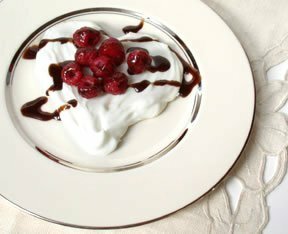 Topped with cherries or strawberries, this creamy dessert is a perfect finish to a special Valentine's Day supper. This light dessert that can be filled with any kind of fresh or frozen fruit, or combination of both, and made to look very festive for whatever season or special occasion you are celebrating. Tips and ideas on how to use chocolate to decorate for Valentine's Day or any special occasion.